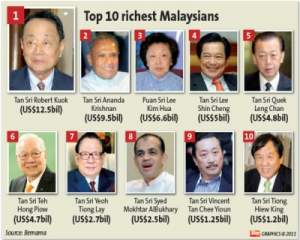 Info from thestar.com.my : The 40 wealthiest Malaysians are worth US$62.1bil (RM188.32bil), up by US$11.1bil (RM33.7bil) compared with last year, according to the latest rich list published by Forbes Asia. In a statement yesterday, Forbes Asia said the combined wealth was almost 22% more than the list in 2010. “The better coffers come on the back of the country’s healthy economy which grew 7.2% last year, the highest rate since 2000,” it said. The first two spots were still occupied by Tan Sri Robert Kuok Hock Nien and Tan Sri T. Ananda Krishnan, respectively. 1. Kuok, 87, has held pole position since 2006 when Forbes Asia began ranking the 40 richest Malaysians. He was worth US$12.5bil (RM38bil), up by half a billion from last year. His biggest source of wealth was his stake in Wilmar International, the world’s largest listed palm oil company. 2. Ananda, 72, was at No 2 with US$9.5bil (RM28.83bil), up from US$8.1bil (RM24.6bil) last year.His Maxis Communications Bhd is Malaysia’s biggest cellphone service provider. 3. At No 3 is this year’s biggest gainer in dollar terms, Puan Sri Lee Kim Hua. The 81-year-old, widow of casino magnate Tan Sri Lim Goh Tong, was one of three women on the list this year. Her Genting shares took off when the company’s Singapore operations on Sentosa Island opened, boosting the family’s net worth by US$2.7bil (RM8.2bil) to US$6.6bil (RM20.03bil) from a year ago. 4. Tan Sri Lee Shin Cheng, who built IOI Group into one of the world’s biggest palm oil producers, fell down a spot at No 4 with a net worth of $5bil (RM15.2bil), up by US$400mil (RM1.21bil) from last year. The only newcomer this year was Chia Song Kun at No 24 with US$400mil (RM1.21bil). The share price of his QL Resources Bhd, the seafood, egg production and palm oil company, has doubled since last year. Not all did well, however, as there were three this year who saw their wealth reduced, led by Tan Sri Vincent Tan at No 9. The self-made entrepreneur, who runs Berjaya Group, saw his wealth decline to US$1.25bil (RM3.8bil) from US$1.6bil (RM4.9bil) last year. 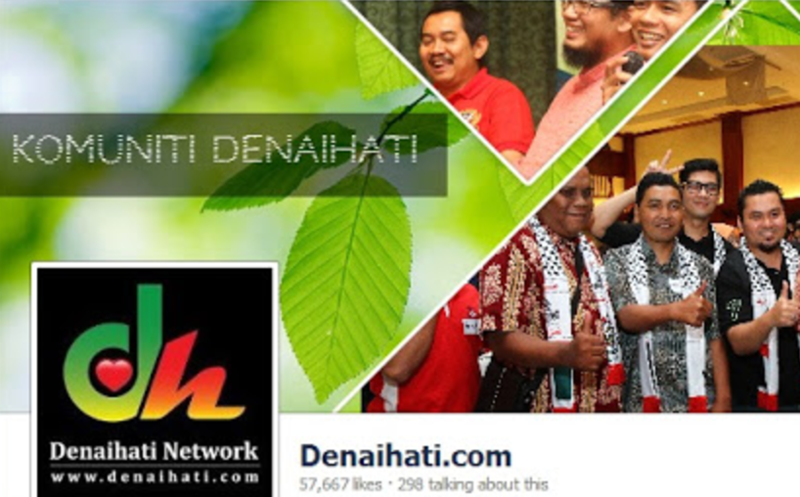 Huuu kaya2 depaa yerr … Betul kata Dadan ..harta yang banyak wajib dikongsi dengan org susah / daif . We need to work smarter so that we can be listed higher in the Forbes List of The Richest Men and Women in the World. Wow… remarkable. malaysia is going on top of the world. So many entrepreneur, so many opportunity..